We have yorkie puppies available for booking. We have 3 Pitch black babies with white markings. Small female estimate weight fully grown 2.4kg price R4000. Small male estimate weight fully grown 2.4kg price R3500. Bigger male estimate weight fully grown 3.2kg price R3000. Dark chocolate male estimate weight fully grown 2.95kg price R3000. 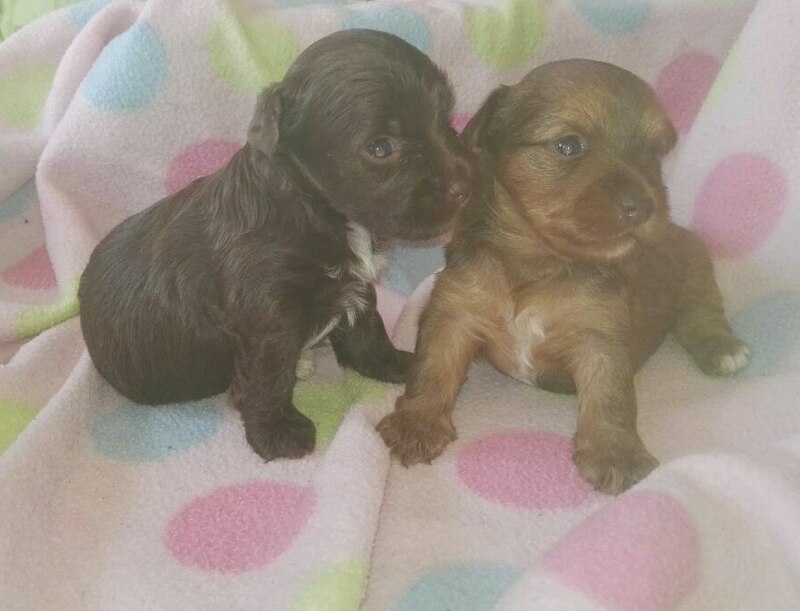 Chocolate sable female estimate weight fully grown 3.5kg price R3000. Our prices include 1st vaccination and deworming . Our pups are registered with GEAR. We sell them as Pets only.